BankRecruiter.net is a well-established executive search firm with a niche focus on banking career opportunities in Oklahoma and surrounding states. Since 1981 the company has been providing recruiting services to commercial banks and other financial service organizations by identifying and recruiting top performing candidates for middle and upper level positions. Exclusive client relationships have been established providing direct contact to top executives and an in-depth understanding of their culture, benefits, and keys to advancement. We know people through networking, understanding the market, partnering with our business associates and thoroughly learning our clients’ and candidates’ objectives. BankRecruiter.net values service, follow-through and dedication to making good matches to enhance our clients’ bottom line and advancing the careers of our candidates. We provide complete search and recruitment services by providing bankers that are identified, recruited, and screened in a thorough manner. 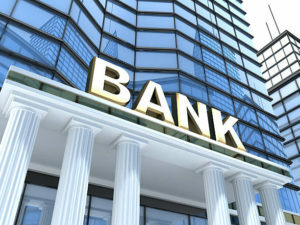 Extensive experience at the corporate, divisional, and branch levels of the banking industry, in Oklahoma and the region, gives us a unique position to be able to provide quality and qualified candidates to our clients. Specialization and personal attention have proven to be keys to our success. Contact BankRecruiter.net for assistance in locating top quality individuals to fill a current or anticipated opening. If you have banking experience, let us keep you informed of opportunities that would be a career enhancement for you. Give us a call at 918-584-5000 to see how we might be of assistance to you. You can make e-mail contact at BankRecruiter@cox.net. We look forward to hearing from you.